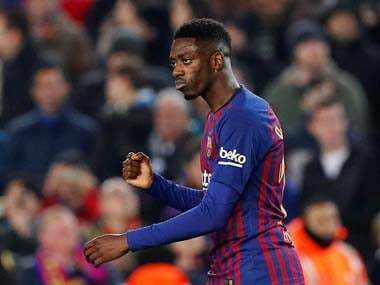 Madrid: Barcelona coach Ernesto Valverde has said Ousmane Dembele is struggling to be fit to face Manchester United next week and will miss Saturday's top of the table clash against Atletico Madrid. Barcelona play Atletico at the Camp Nou on Saturday, when a win would leave them 11 points clear in LaLiga. Atletico coach Diego Simeone has said victory for his side is the "only option" if they want to stay in the title race. 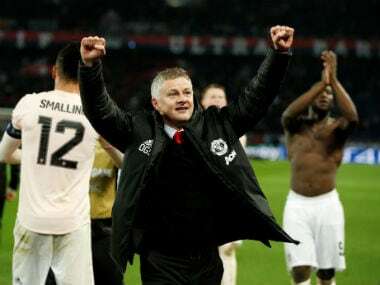 There will then be little time to recover for Barcelona, who face United at Old Trafford on Wednesday in the first leg of the Champions League quarter-finals. Dembele could miss both games. He has not played since 13 March, when he aggravated a hamstring injury after coming on as a substitute against Lyon. 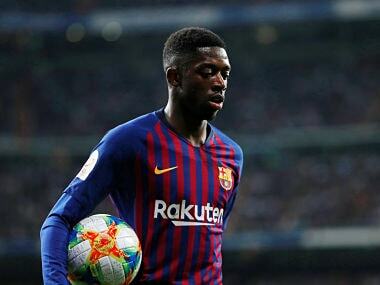 "He is not going to be available tomorrow and we do not know if he will be on Wednesday either," Valverde said in a press conference on Friday. "We don't want to risk him, either tomorrow or Wednesday and then have a bigger problem in the matches that are coming up. We will see how he is doing. For sure, tomorrow he will be out." Atletico have never won at the Camp Nou under Simeone, their last victory there coming in February 2006. But with only eight matches left, even a draw this weekend is likely to leave them with too much ground to make up. "I am desperate for us to win," said Simeone. "You can't ignore the eight points that Barcelona are ahead or say something different to what the table shows. The reality is that for us to have a chance, the only option is to win tomorrow." Antoine Griezmann will be in the spotlight again after he rejected a move to Barcelona last summer. 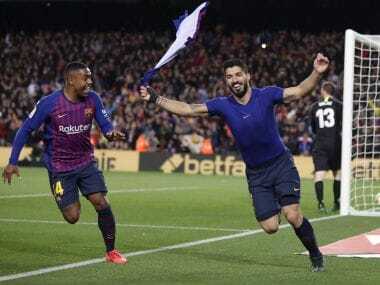 The Catalans could yet make a fresh bid at the end of the season and Valverde urged Barcelona's fans not to jeer the Frenchman this weekend. "What I want tomorrow is for our fans to be watching us, not the players of the opposing team," Valverde said. "Every player is free to make their own decision about their future, in the same way that clubs decide who to approach or not approach. "We have to be careful with Griezmann because he is a great player. There is nothing more to it." Barcelona's healthy lead in LaLiga has afforded them some breathing space, with Valverde choosing to rest Lionel Messi, Gerard Pique and Ivan Rakitic against Villarreal on Tuesday. But despite the trip to Manchester United, he insists the game against Atletico is their first priority. "We will give it everything, even knowing that we have a crucial game coming up afterwards," Valverde said. "The best way to prepare for that match is by doing well in this one." Atletico were handed a boost on Friday, as Diego Costa and Alvaro Morata both trained with the rest of the squad. Morata sprained his ankle against Girona on Tuesday while Costa picked up a thigh strain last weekend against Alaves.